Springdale Towing is on the scene of an accident to protect the public and keep Fayetteville and Springdale streets clear and safe. Vehicle accidents cause traffic congestion and millions in lost revenue and wages for businesses and citizens alike. 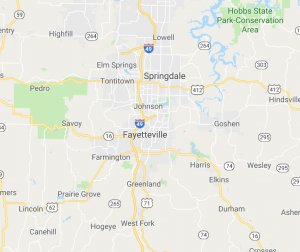 Fayetteville Towing has long enjoyed mutually beneficial relationships with governmental and law enforcement agencies to provide accident towing. We practice federally-recognized quick clearance/incident management programs, which supports everyone’s efforts to save lives on our roadways through the reduction of traffic congestion that erodes our productivity and quality of life. We are proud to be a partner in helping implement this important initiative. We work closely with law enforcement agencies throughout the state of Arkansas to increase the awareness on the safety of both the traveling public and the incident scenes first responders. This is an important educational element for improved responder safety and system performance. As your towing resource, we are responsible for the safe and efficient removal of wrecked or disabled vehicles and debris from the accident scene. We view ourselves as indispensable components of your traffic incident management program. The challenges we face are unique and we stand ready to deliver solutions.